Henry 'Smokey' Yunick is one of racing's most venerated mechanics, as well the sport's best known bender of the rules. 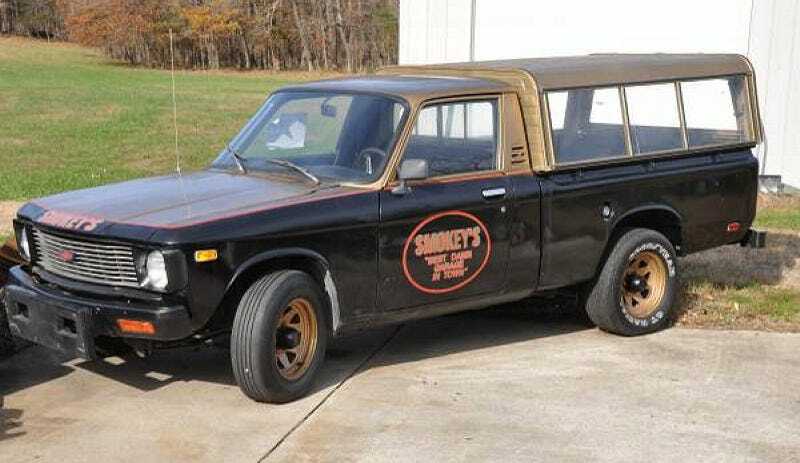 Today's Nice Price or Crack Pipe LUV is said to have been Smokey's personal ride, but does this survivor Chevy have a price that would make you tell the seller to go get bent? How often do you come across a Craigslist ad for a celebrity-owned car or truck? More to the point, how often does one pop up that was owned by someone in the public eye that is actually of any interest to you? Yeah, almost never, right? Smokey Yunick was raised on a farm in Neshaminy, Pennsylvania where he had to drop out of school at the age of 16 following the passing of his father. He joined the Army Air Corp in WWII, where he led a B17 crew - Smokey and His Firemen - and eventually flew in both the European and Pacific theaters. When you say you're the best, and no one disproves that claim, you get noticed. In the 1950s, Yunick did gain the attention of a local NASCAR promoter - Marshall Teague - who offered Yunick a job on his team. This proved to be the start of a long and fruitful - and sometimes contentious - career in motorsports. And all the while Yunick kept The Best Damn Garage in Town going. He finally closed up the shop in 1983, claiming there were no more good mechanics around. Yunick passed away on May 9, 2001, and as were his wishes, the family auctioned off all his accumulated stuff. One of those items was apparently this 1978 Chevy LUV, which does come with its original Florida title and pics of Smokey and his dog - Crankshaft - riding in it. Yunick had the passenger seat removed from the truck, and a carpeted perch installed in its place so the hound could ride in comfort. It doesn't look like the dog, or Yunick, went all that far in the truck as it exhibits only 28K on the odo. That's not much and the LUV does look like time has worn more heavily on it than have the miles. The two-tone paint, including Best Damn door signs, looks a little tired, but it's all still perfectly serviceable, while the interior and engine bay seem to be in great shape. Mechanically things aren't so great, as the seller says the truck shuts off soon after starting. Wait, a GM product with potential ignition problems? GTFO! The ad says that the battery's now dead too, so, should you did want to bring this bit of motorsport history home, you'd better bring a flatty or some friends to push. You'll also want to bring $6,000 as that's the seller's asking price of this truck. For that you get all the history, the photos, and a set of bald and cracked Goodyears that are marked not for sale. Yeah, I'll get back to you on that last bit. What do you think about Smokey's LUV for six-large? Does that seem like a smokin' deal for the opportunity to channel a racing legend? Or, does that price make you think the seller is smokin' something else? H/T to Cash Rewards for the hookup!